Letjen. Sjafrie Sjamsoeddin : Jangan Ributkan KSAD Baru ! December 16, 2010 (KATAKAMI / WHITEHOUSE.GOV) —- THE PRESIDENT: Good morning, everybody. When I announced our new strategy for Afghanistan and Pakistan last December, I directed my national security team to regularly assess our efforts and to review our progress after one year. That’s what we’ve done consistently over the course of the past 12 months —- in weekly updates from the field, in monthly meetings with my national security team, and in my frequent consultations with our Afghan, Pakistani and coalition partners. And that’s what we’ve done as part of our annual review, which is now complete. I want to thank Secretary Clinton and Secretary Gates for their leadership. Since Joint Chief of Staff Chairman, Admiral Mullen, is in Afghanistan, I’m pleased that we’re joined by Vice Chairman, General Cartwright. Our efforts also reflect the dedication of Ambassador Richard Holbrooke, whose memory we honor and whose work we’ll continue. Indeed, the tributes to Richard that have poured in from around the globe speak to both the enormous impact of his life and to the broad international commitment to our shared efforts in this critical region. I have spoken with President Karzai of Afghanistan as well as President Zardari of Pakistan and discussed our findings and the way forward together. Today, I want to update the American people on our review —- our assessment of where we stand and areas where we need to do better. I want to be clear. This continues to be a very difficult endeavor. But I can report that thanks to the extraordinary service of our troops and civilians on the ground, we are on track to achieve our goals. It’s important to remember why we remain in Afghanistan. It was Afghanistan where al Qaeda plotted the 9/11 attacks that murdered 3,000 innocent people. It is the tribal regions along the Afghan-Pakistan border from which terrorists have launched more attacks against our homeland and our allies. And if an even wider insurgency were to engulf Afghanistan, that would give al Qaeda even more space to plan these attacks. And that’s why, from the start, I’ve been very clear about our core goal. It’s not to defeat every last threat to the security of Afghanistan, because, ultimately, it is Afghans who must secure their country. And it’s not nation-building, because it is Afghans who must build their nation. Rather, we are focused on disrupting, dismantling and defeating al Qaeda in Afghanistan and Pakistan, and preventing its capacity to threaten America and our allies in the future. In pursuit of our core goal we are seeing significant progress. Today, al Qaeda’s senior leadership in the border region of Afghanistan and Pakistan is under more pressure than at any point since they fled Afghanistan nine years ago. Senior leaders have been killed. It’s harder for them to recruit; it’s harder for them to travel; it’s harder for them to train; it’s harder for them to plot and launch attacks. In short, al Qaeda is hunkered down. It will take time to ultimately defeat al Qaeda, and it remains a ruthless and resilient enemy bent on attacking our country. But make no mistake — we are going to remain relentless in disrupting and dismantling that terrorist organization. In Afghanistan, we remain focused on the three areas of our strategy: our military effort to break the Taliban’s momentum and train Afghan forces so they can take the lead; our civilian effort to promote effective governance and development; and regional cooperation, especially with Pakistan, because our strategy has to succeed on both sides of the border. Indeed, for the first time in years, we’ve put in place the strategy and the resources that our efforts in Afghanistan demand. And because we’ve ended our combat mission in Iraq, and brought home nearly 100,000 of our troops from Iraq, we’re in a better position to give our forces in Afghanistan the support and equipment they need to achieve their missions. And our drawdown in Iraq also means that today there are tens of thousands fewer Americans deployed in harm’s way than when I took office. With those additional forces in Afghanistan, we are making considerable gains toward our military objectives. The additional military and civilian personnel that I ordered in Afghanistan are now in place, along with additional forces from our coalition, which has grown to 49 nations. Along with our Afghan partners, we’ve gone on the offensive, targeting the Taliban and its leaders and pushing them out of their strongholds. As I said when I visited our troops in Afghanistan earlier this month, progress comes slowly and at a very high price in the lives of our men and women in uniform. In many places, the gains we’ve made are still fragile and reversible. But there is no question we are clearing more areas from Taliban control and more Afghans are reclaiming their communities. To ensure Afghans can take responsibility, we continue to focus on training. Targets for the growth of Afghan security forces are being met. And because of the contributions of additional trainers from our coalition partners, I’m confident we will continue to meet our goals. I would add that much of this progress —- the speed with which our troops deployed this year, the increase in recruits — in recruiting and training of Afghan forces, and the additional troops and trainers from other nations —- much of this is the result of us having sent a clear signal that we will begin the transition of responsibility to Afghans and start reducing American forces next July. This sense of urgency also helped galvanize the coalition around the goals that we agreed to at the recent NATO summit in Lisbon —- that we are moving toward a new phase in Afghanistan, a transition to full Afghan lead for security that will begin early next year and will conclude in 2014, even as NATO maintains a long-term commitment to training and advising Afghan forces. Now, our review confirms, however, that for these security gains to be sustained over time, there is an urgent need for political and economic progress in Afghanistan. Over the past year, we’ve dramatically increased our civilian presence, with more diplomats and development experts working alongside our troops, risking their lives and partnering with Afghans. Going forward, there must be a continued focus on the delivery of basic services, as well as transparency and accountability. We will also fully support an Afghan political process that includes reconciliation with those Taliban who break ties with al Qaeda, renounce violence and accept the Afghan constitution. And we will forge a new strategic partnership with Afghanistan next year, so that we make it clear that the United States is committed to the long-term security and development of the Afghan people. Finally, we will continue to focus on our relationship with Pakistan. Increasingly, the Pakistani government recognizes that terrorist networks in its border regions are a threat to all our countries, especially Pakistan. We’ve welcomed major Pakistani offensives in the tribal regions. We will continue to help strengthen Pakistanis’ capacity to root out terrorists. Nevertheless, progress has not come fast enough. So we will continue to insist to Pakistani leaders that terrorist safe havens within their borders must be dealt with. At the same time, we need to support the economic and political development that is critical to Pakistan’s future. As part of our strategic dialogue with Pakistan, we will work to deepen trust and cooperation. We’ll speed up our investment in civilian institutions and projects that improve the lives of Pakistanis. We’ll intensify our efforts to encourage closer cooperation between Pakistan and Afghanistan. And, next year, I look forward to an exchange of visits, including my visit to Pakistan, because the United States is committed to an enduring partnership that helps deliver improved security, development, and justice for the Pakistani people. Again, none of these challenges that I’ve outlined will be easy. There are more difficult days ahead. But as a nation, we can draw strength from the service of our fellow Americans. On my recent visit to Afghanistan, I visited a medical unit and pinned Purple Hearts on some of our wounded warriors. I met with a platoon that had just lost six of their teammates. Despite the tough fight, despite all their sacrifice, they continue to stand up for our security and for our values that we hold so dear. We’re going to have to continue to stand up. We’ll continue to give our brave troops and civilians the strategy and resources they need to succeed. We will never waver from our goal of disrupting, dismantling, and ultimately defeating al Qaeda. We will forge enduring partnerships with people who are committed to progress and to peace. And we will continue to do everything in our power to ensure the security and the safety of the American people. 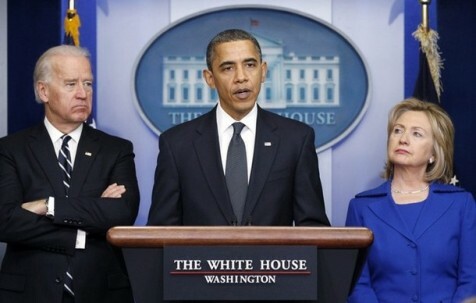 So, with that, Vice President Biden and myself will depart, and I’m going to turn it over to Secretaries Clinton, Gates, as well as Vice Chairman Cartwright, and they will be able to answer your questions and give you a more detailed briefing. MOSCOW, December 17 (KATAKAMI / Itar-Tass) — Russian President Dmitry Medvedev hopes that regional chiefs will give closer attention to the construction and support to kindergartens. He has made a statement at a visit to a kindergarten in Moscow. “Unfortunately, most of our kindergartens are not so good as yours; your kindergarten is a perfect one in the design and the equipment,” the president said. “I hope that a presidential visit is primarily a symbol of understanding to the problem of kindergartens and I hope that it is an example for governors,” he added. Medvedev recalled that a long queue for children to be taken for care in the kindergartens is one of the most pressing problems, about which he stated in his state-of-the-nation address to the Federal Assembly. “I drew attention of the governors to this problem, because it is impossible to deal with this from Moscow,” he noted. The president asked Moscow Mayor Sergei Sobyanin, who attended a meeting between the president and the kindergarten personnel, to report about the situation with this problem in the Russian capital. “Now 20,000 children are queuing for vacant seats in the kindergartens who make about five percent from all children,” the mayor said. “The problem is that these five percent live in highly populated districts, so, many children live particularly in newly built apartment blocks,” he added. Some 83 kindergartens will be commissioned next year, but, according to the forecast, the queue may get twice longer over the birth rate growth, Sobyanin said. “On the one hand, it is the problem and, on the other hand, a higher birth rate is what we are seeking for,” the president said. 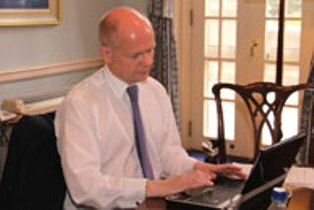 December 16, 2010 (KATAKAMI / FCO.GOV.UK) — Foreign Secretary William Hague answered questions about his first six months at the Foreign Office on 16 December via Twitter. The following questions were put to the Foreign Secretary@WilliamJHague by using the hashtag #foreignoffice. Q. @curiousc:@WilliamJHague How you feel #wikileaks impacts on the #opendata agenda in the UK ? Q. @HKSkot1@WilliamJHague #foreignoffice was there anything in the Wikileaks material that was genuinely damaging rather than just mildly embarrassing? A. @citizen_sane Important diplomats can advise candidly and in confidence. Ours do so and I want them to keep doing it. Q. @manatrue: #foreignoffice @WilliamJHague Are British courts not fit for purpose or is there another reason why #GaryMcKinnon is denied UK justice? A. @FHxoxo Her release was long overdue. 2,200 other political prisoners remain behind bars. More progress is needed. Q. @JoeThorpe1963: @WilliamJHague #foreignoffice the only foreign policy anyone that interests people is when will we get a referendum on #EU membership? Q. @si_smith: @WilliamJHague #foreignoffice William, is the unbalanced UK/US Extradition treaty going to be amended/changed/abandoned? Q. @benpopkid: @WilliamJHague when will you as foreign secretary make it easier for citizens such as myself to marry a non-EU resident? Q. @greeneyespy: @WilliamJHague #foreignoffice questions: were the #Pakistan floods a result of #climatechange & how important #Brazil to #climate diplomacy? Q. @WilliamJHague @UKinSriLanka #foreignoffice How would you describe how it has been to work on the relatship between the UK and Sri Lanka? Q. @WeLshRoGs: @WilliamJHague #foreignoffice How much did the foreign office pay for it’s Christmas trees? Has it taken a leaf from the Treasury? A. @WeLshRoGs We spent nothing on Christmas trees in London! A. @mattbjones No. Our diplomats and Ministers raise human rights cases week by week across the world and will continue to so.